"Education has made America the great nation it is today. It is the hope for our progress and peace in the future. To have an American Public School named for is the greatest of honors, especially so, when one has spent his life in school work. For this great honor I am humbly grateful to the Board of Education and the citizens of Enid." DeWitt Waller Middle School is located at 2604 West Randolph in Enid, Oklahoma. This school, of contemporary modern architecture, when opened had a capacity of 650 students, but was planned in such a manner that future expansion will make it possible to house 1,000 to 1,200 students. This addition to the Enid school properties was built at a cost of $1,003,000. The site was purchased for $25,000. DeWitt Waller Junior High School was named for Mr. DeWitt Waller who served the Enid Public Schools from 1911 to 1959. 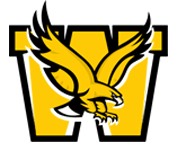 In the 2009-2010 school year DeWitt Waller Junior High School became DeWitt Waller Middle School. 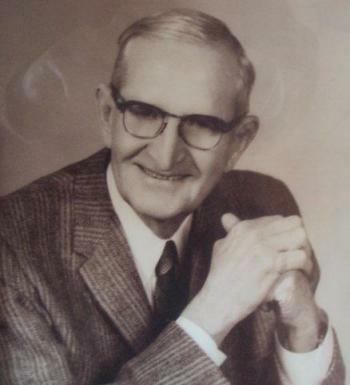 Mr. Ray Farrant served as principal from 1959 when the school was opened until 1964. He was succeeded by Mr. Jewel Ridge who served through the 1964-65 term and until mid-year 1965-66, when Mr. Rex Martin came to the position and served until his death in 1968. Mr. Jerry Simmons became principal at the beginning of the 1968-69 term. He served until 1974. Mr. Henry Schneider became principal at the beginning of the 1974-75 term and served until 1981. Mr. Webster was the principal for the 1981-82 term. Mr. Steve Hart became principal at the beginning of the the 1982-83 term and served until 1986. Mr. Tom Worley was the principal at the beginning of the 1986-87 and served until 1995. At the beginning of the 1995-96 term, Mr. Michael King became the principal and he served until 2004. Mr. John Garvie began his term in the 2004-05 school year and served as principal until his retirement during the 2011-2012 school year. Mr. Charles Carpenter replaced Mr. Garvie at the time of his retirement, and was principal through the 2012-2013. Mr. Beauchamp was named Waller’s principal in 2013 and served through the 2016-2017 school year. Our current principal, Mr. Robb Mills, was named Waller's principal in 2017.